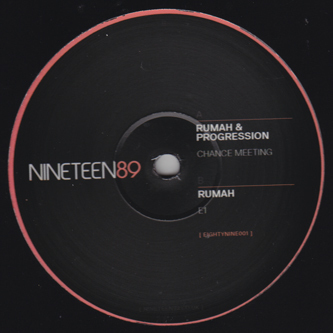 Rumah & Progression initiate Conor Wheeler ov Dirty Canvas fame's Nineteen89 label with two techy dubstep and acid rollers. 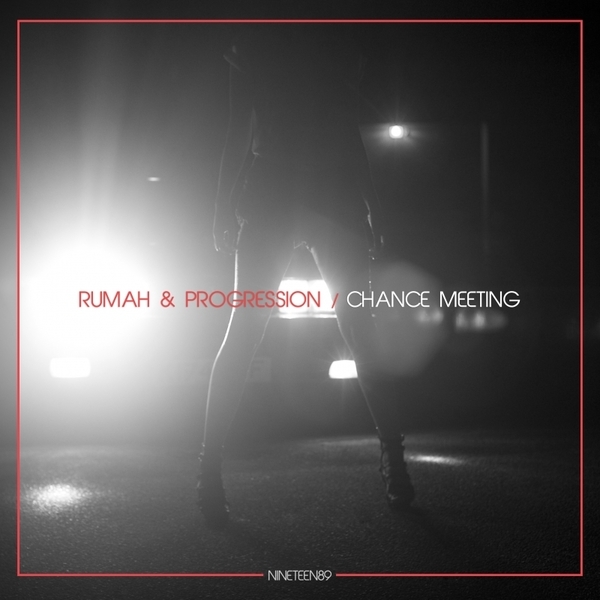 In tandem, Rumah & Progression's 'Chance Meeting' locks off sharply contoured tech-steppers' drums and Berlin-esque synth atmospheres already finding support from J: Kenzo, DJ Madd and Youngsta. Flip it and Rumah drops the tempo to a halfstepacid tech swagger, lacing trapped-out claps and whirring percussions with a virulent acid line, readily championed by South London Ordnance and Lawson on NYS and Rinse FM.